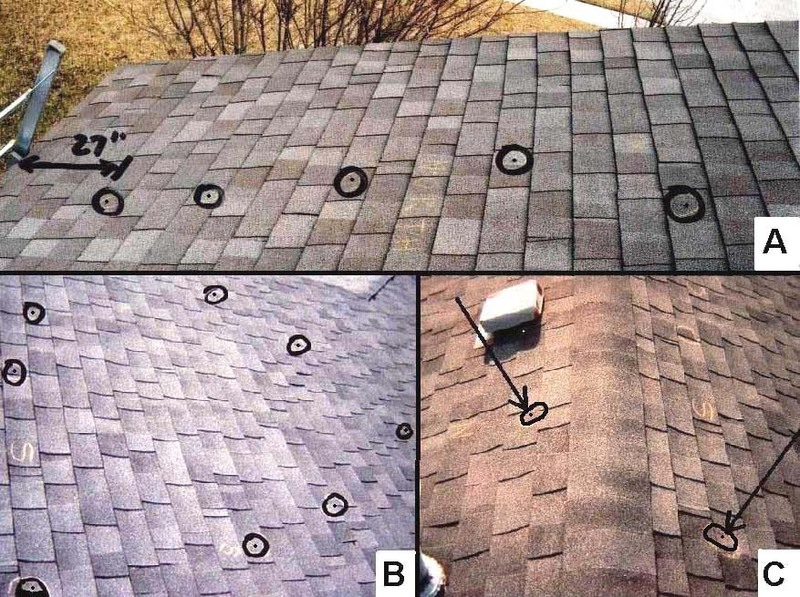 Hail damage accounts for a lot of the damage to roofs for hail storms in the Texas area. And it can lead to an expensive insurance claim. Nationwide, hail causes more than $1.6 billion in damage per year – just in roof damage – according to the Federal Alliance of Safe Homes. Even in Tornado Alley, when a storm hits the Dallas Fort Worth area it may be difficult to see if the shingles on your roof have been damaged. However, there are some ways to determine if any damage has occurred. Myth: I looked at my roof and didn’t see any problems, or my roofer inspected it and there are no problems. Fact: Roofing systems must be physically inspected by some one who has training and experiance to determine if there is actual hail damage. Insurance companies send their adjusters too special training so they can properly identify hail damage to property, unfortunately there is not much ongoing training for the roofing or home inspection industries. Myth: I’m not missing any shingles so I must not have damage. Fact: Missing shingles are related to wind damage claims and can happen during a hail storm if the winds are high enough. However hail damage is insidious in nature and may not physically cause leakage for years after a hail storm. Myth: I only have 1 year to file my insurance claim. Fact: Many insurance companies do have a one year time limit and some even less, however due to the nature of hail damage they may pay claims past the deadline. This usually happens if a hail storm is widespread geographically. Myth: My roof is new so it’s covered by the manufacturer’s warranty, home builder, or contractor. Fact: Manufacturer’s specifically name hail as an exclusion to their product warranty, so do home builders and roofing contractors. Newer roofs can actually be more susceptible to hail damage versus older roofs due to the time it takes a new roof to cure from exposure to the elements. Myth: I was told my roof has minimal or very little damage and therefor I don’t need to file a claim. Fact: If your roof has any damage what-so-ever you have a valid insurance claim and should file with your insurance company. Damage might not cause your roof to leak for years. This is why it’s important to have a qualified person inspect your roof. Myth: My insurance company will cancel my policy if I file a claim. Fact: Most states prohibit insurance companies from cancelling policies for filing claims arising from severe weather related events. Check with your state however and your policy language as well. Myth: If I don’t file my claim, my insurance company won’t raise my rates. Fact: After a disaster, insurance companies may raise every one’s rates. By not filing your claim, your personal rate increase is paying for every one else’s damage except yours. Now, exactly HOW do you determine whether or not you have sufficient hail damage to get roof repair? Identifying ‘functional’ hail damage (what an insurance company will cover) is problematic. Insurance companies will first determine if damage is recent, in the past, or a combination of multiple incidents over the life of the current roof. Hail damage will typically dent the soft metals on your roof (i.e. vents, exhaust caps) before it damages your shingles. So check the vinyl trim around your windows and the flashing on the roof. Also, check the cooling fins of the exterior A/C condensing unit. 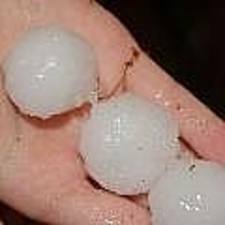 Hail damage is rated in terms of degrees of damage: bruising, granule loss, edge removal, wood spliting, and fracturing of the asphalt underlayment. Granular loss alone usually does not qualify for replacement of the roof. Shingle damage is partially determined by the strength of the substrate below the shingle. A more structurally sound decking will not flex as much during impact, thus lessening the damage to the shingle. The slope or pitch of your roof and the direction of the storm may result in hail damage to one side of your roof and not the other. Perpendicular impacts will cause the most damage. When installing a new roof, know the rating of your shingle. Class 1 is least hail resistant, Class 4 is most resistant. Before you begin your process with the insurance company, please contact Apex Roofing first. We have navigated these waters many times and have the expertise you need. And we will provide a free estimate and make sure you get as close to 100% coverage on your roof repair. Our mission is to provide the most superior customer service in the industry. We work hard to make sure that all of our customers feel comfortable and are satisfied from beginning to end of the entire roofing process. © 2019 Apex Roofing. All Rights Reserved, Apex Roofing Inc.